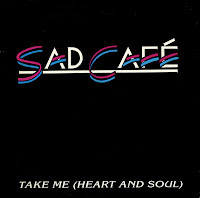 The English soft rock band Sad Cafe was very successful in the late Seventies, but during the Eighties they faded more and more into obscurity. What made matters worse was that band member Paul Young joined the side project of Genesis member Mike Rutherford, Mike & the Mechanics. Paul Young re-joined Sad Cafe in the late Eighties, splitting his time between the two bands. 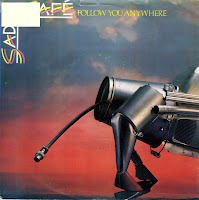 Sad Cafe released the album 'Whatever it takes' in 1989, from which this unsuccessful single was taken. 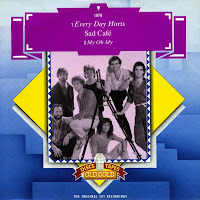 Released in September 1979, 'Every day hurts' was the biggest hit of Manchester-based band Sad Café in the UK. It peaked at number 3, making it the only top 10 hit the band ever had in that country. On this 'Old gold' single, the track is coupled with 'My oh my', their second biggest hit, released in March 1980 and reaching number 14 in the UK. 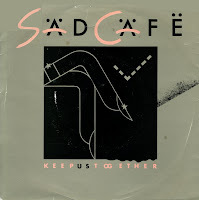 More than a decade after its release, I heard Sad Cafe's 'Keep us together' by chance. I knew about this band because of 'Every day hurts' and 'Follow you anywhere', and this was another ballad in that style: powerful, slightly sentimental and most of all, melodic. It took me some time to find this single, but when I did, I grabbed it immediately. For me, this is one of the great lost classics of the Eighties: it didn't chart anywhere as far as I know.